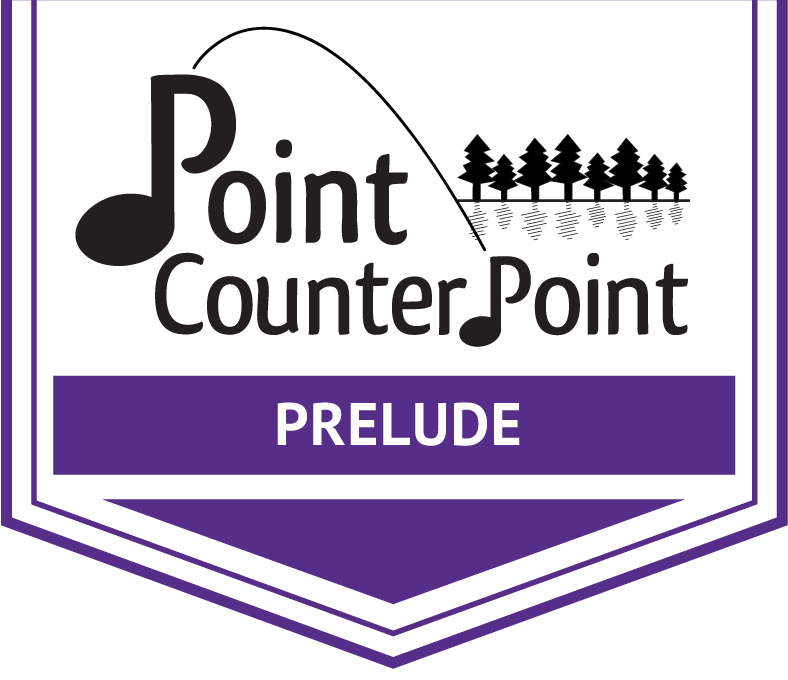 At Point CounterPoint, we believe that chamber music should be played by all ages! 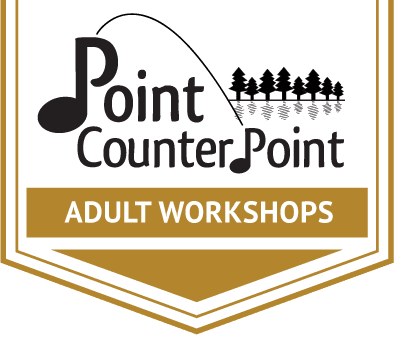 In 2009, we began an adult chamber workshop in late summer which incorporates the same ideals and joys that our young musicians have enjoyed for 50 plus years. And in 2019, we are launching a Two Hands – Four Hands – Eight Hands piano program for ages 25+ for intermediate to advanced levels called PIANOS on the Point! Our resident faculty coaches both preset groups and those that apply individually. During the session, each participant receives a private lesson, is grouped into two different ensembles and rehearses with daily coachings. 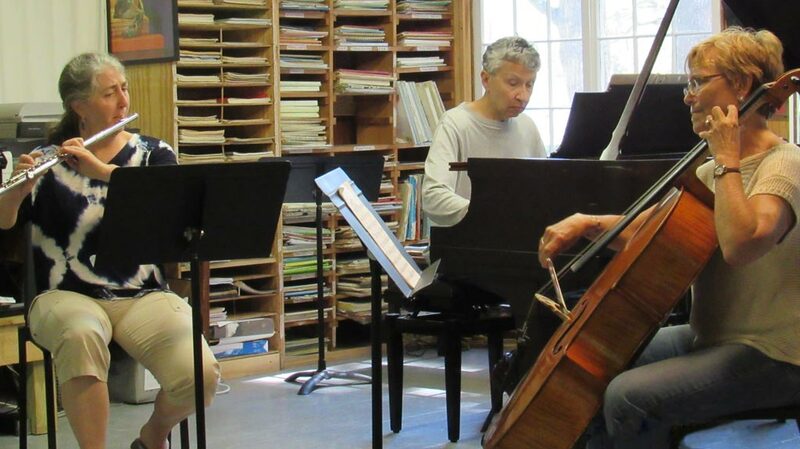 Repertoire is sent to participants approximately 6 weeks prior to the start of the workshop. At the end of the session, there is a final performance in front of our group. Our faculty performs locally and is a popular event for our local communities. During our time together, and usually after dinner, we sight-read as much as possible! Located on the shores of Lake Dunmore, (15 miles south of Middlebury College in Vermont) and beneath the Green Mountains our spot is perfect for finding inspiration from nature! Our rustic cabins have electricity, sleep a maximum of 6, and have a bathroom/shower in each cabin. If you prefer, local B&Bs are happy to accommodate you; contact us for a list of accommodations. Cabins with Bunkbeds and a Shared Bathroom: This option offers a realistic camp experience and enables participants to bond quickly. All single gender cabins have electricity, and ensuite bathrooms. We only assign bottom bunks, with the top bunks open for storage or those young at heart! An option that is literally across the street from our campus is a large 6 bedroom lodge with 2 shared bathrooms. Each participant will have a private bedroom and a shared bathroom. These prized rooms are on a first come/first serve basis! Off Campus in a local B&B or Quaint Vermont Inn: Please book this option yourself. You will find an attachment with names and contact info here. Our food is outstanding, and caters to fresh, sophisticated palates. Chef Steve takes great pleasure in introducing you to Vermont foods, and is always willing to offer “tastes” if you drop by the kitchen. Please let us know before your arrival if you have any food restrictions. Chef Steve will do his best to accommodate them. Every evening we have wine and hors d’oeuvres before dinner. It’s amazing how much more fun we have sight-reading after dinner! We recommend that you bring an extra set of strings. Our remote location precludes a quick trip to a music store. Although we recommend being unplugged during your 5 days with us, there is wi-fi available. We will send you a suggested packing list closer to the workshop date. Late August/early September weather in Vermont can be a surprise, so we recommend layers. We usually can swim in the lake, and go boating during the day, and snuggle under blankets at night.